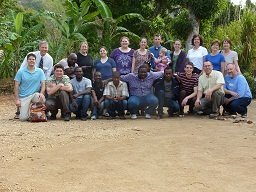 In February 2012, Dr. Ghering traveled to Haiti with a group of volunteers from St. Anthony Church in Morris, Indiana. 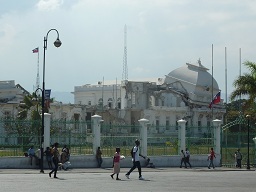 The team landed in Port-au-Prince and spent the night at a mission house. Joining Dr. Ghering was a pediatric dentist from the Cincinnati area, as well as doctors, nurses and volunteers from Ohio, Indiana, Missouri, Colorado and Maryland. Dr. Ghering had visited Haiti while in dental school at Indiana University. At that time, he and his fellow dental students served patients at a mission clinic in the capital city of Port-au-Prince. After spending the first night in Port-au-Prince, Dr. Ghering and the team from St. Anthony loaded two trucks with supplies and began the journey to the remote village of Gandou, Haiti. 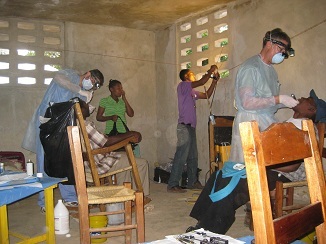 The mission team set up both a medical and dental clinic in the village of Gandou. 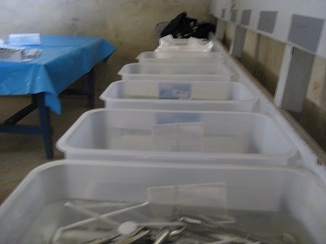 The dental clinic was set up inside a schoolhouse which had been condemned following the earthquake of 2010. Patients came on foot from neighboring villages and waited for medical and dental treatment. Dr. Ghering, Dr. Wendt (a pediatric dentist in Mason) and Dr. Peterson (a Haitian dentist) saw patients of all ages. They worked all day, taking a short break for lunch with the group. 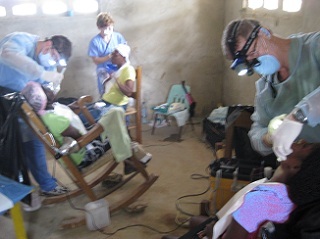 The team of three dentists was able to help a large number of Haitians, mainly performing extractions and cleanings. A group from St. Anthony's visits Gandou twice each year, treating Haitian patients in the medical and dental clinic. Dr. Ghering looks forward to returning to Gandou again in the future. He is grateful to one of his patients at the Dental Depot for letting him know about this opportunity!